There were some grim remembrances last week for those dwindling few of us who consider the past travails of unions and workers worth preserving as part of our collective heritage. Their struggles and tragedies are as dramatic as history gets. 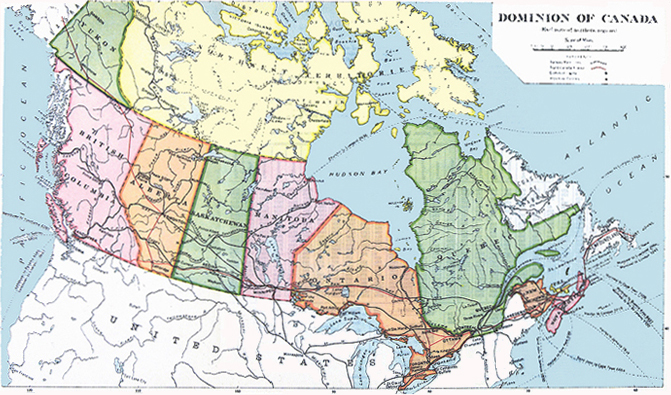 Yet they claim very little place in what students are taught about the province’s history. We are getting better at changing history from just what dead white guys did long ago, even if we de-emphasize these events a little too much in our schools. They did shape this country, after all, and we should know about them. While John A. Macdonald, for instance, did some bad things (Louis Riel, treatment of First Nations, etc. ), without his vision, strength of character and political acumen, parts of Canada might long ago have been swallowed up by you-know-who south of us. 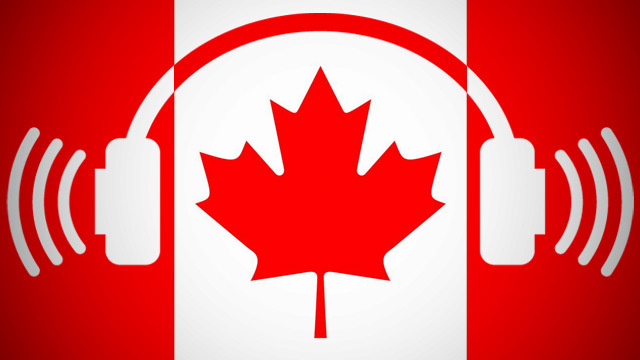 But sadly, few students seem to know much about Canada’s first prime minister, warts and all. Still, aboriginal history and the deadly travesties we inflicted upon our indigenous people, along with past racism against ethnic Chinese, Japanese and South Asians are now part of the school curriculum, and that’s a good thing. 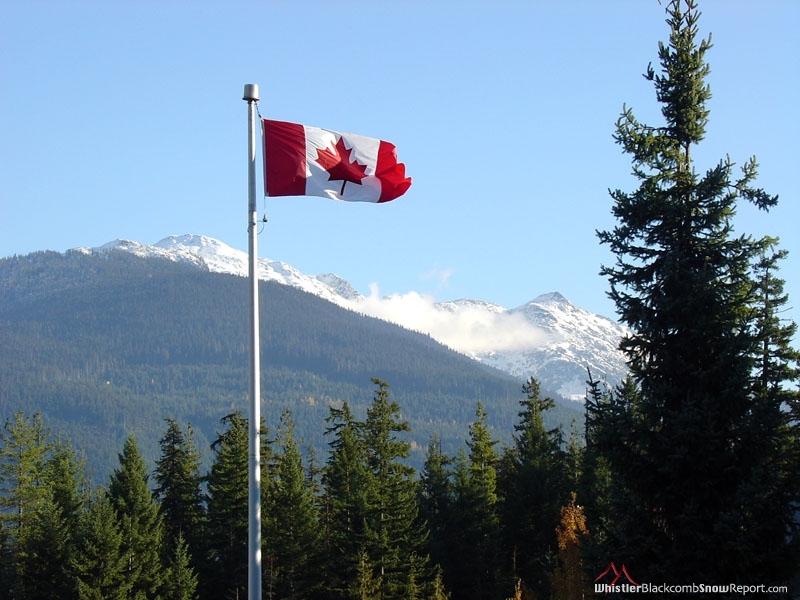 “Teaching students about past discrimination minority groups faced in this province…encourages (students) to value diversity, care for each other and stand up for the rights of others and themselves,” an education ministry official explained, as B.C. announced the history of residential schools would be taught, too. But why does that laudable sentiment not include the decades-long fight of ordinary workers for a decent working wage, a safe workplace and the basic right to join a union, plus the discrimination they faced every step along the way? I was thinking about this, as I attended a ceremony last Thursday marking the 80th anniversary of what’s come to be known as The Battle of Ballantyne Pier, although much of it — not all – consisted more of workers getting their heads busted by police than any real “battle”. The event was held at a commemorative cairn on the shores of New Brighton Park in East Vancouver, where the city’s working port was in full hum. I couldn’t help but notice as well the imposing structure of the Ironworkers Memorial Bridge looming behind the speakers. 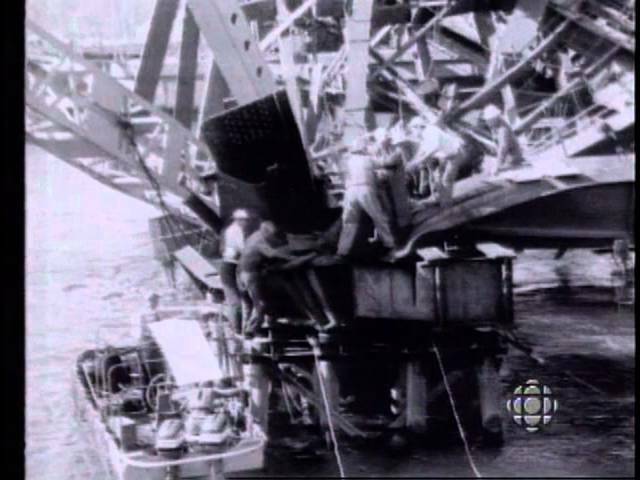 The day before was the 57th anniversary of the god-awful collapse of that bridge, then known as Second Narrows, which had been under construction across Burrard Inlet. Nineteen workers perished. 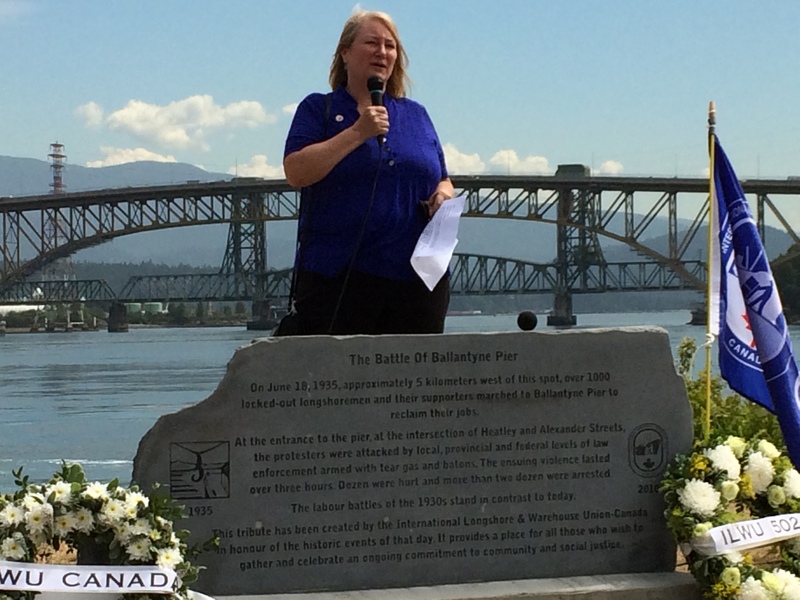 Both the Battle of Ballantyne Pier and the Second Narrows Bridge disaster are unprecedented, black days in the history of working people in this city. Yet, except by some individual teachers, they are ignored in our classrooms. Here’s a bit about each. See if you don’t think they are worthy of learning about. 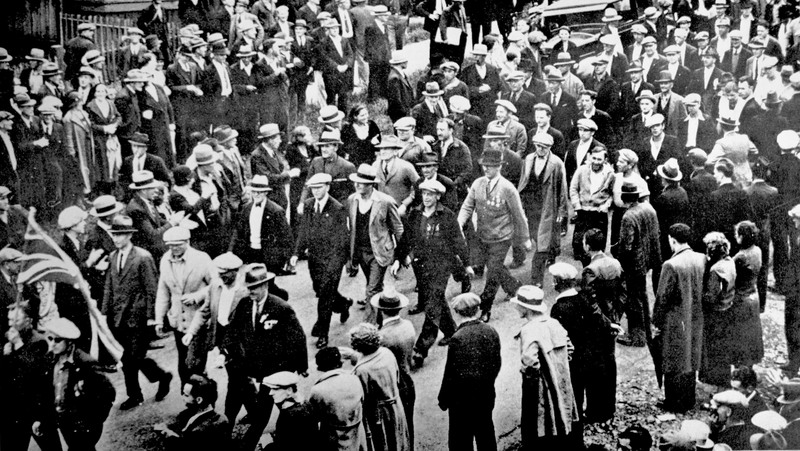 In early June, 1935, longshoremen on the Vancouver waterfront hit the bricks to support their brothers in Powell River, where a non-union crew had been used to load a cargo ship. They were inspired by the recent, historic strike in the United States. Dock workers up and down the Pacific Coast spent 83 days on the picket line, at the cost of six lives, for union recognition. Imagine, six workers died, gunned down by company thugs, just for wanting to belong to a union. You won’t find that in American schoolbooks, either. Led by the legendary Harry Bridges, the West Coast longshoremen won their strike. For the first time, there would be a union hiring hall, with dispatchers elected by the workers. The walkout in Vancouver also became a fight for a real union and fair hiring. Fearful of what had happened in the States, however, local employers and authorities were determined not to give in. On June 18, Victoria Cross winner Mickey O’Rourke led a march of 1,000 longshoremen and their supporters towards the docks. The intended to “talk” to strikebreakers brought in by the maritime companies. A mass of police waited for them, billy clubs at the ready. Many were on horseback. At the bottom of Heatley Avenue, the men refused police orders to disperse, and the carnage was on. For the first time, tear gas was unleashed in Vancouver. The strikers quickly scattered. But that wasn’t enough. The police pursued them with a vengeance, bashing heads as they advanced. 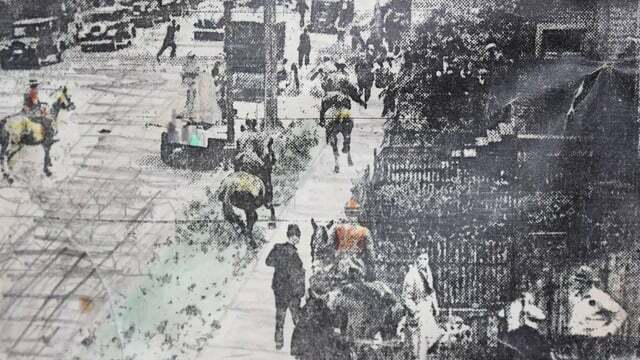 There are amazing photos from the day, showing horses charging up the street after fleeing protestors. 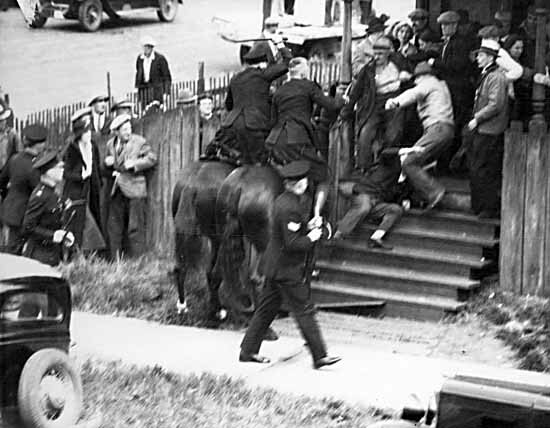 One famous shots shows two police officers on horseback going right up to the steps of a house, clubbing defenceless workers as they tried to take refuge on the porch. Wherever they discovered a group of union men, even inside residences and buildings, police shot off more tear gas. It was as if they had a new toy. Some marchers fought back, hurling rocks, and one cop was beaten, after being dragged from his car. But the strikers bore the brunt of the violence. By the time the most pitched confrontation in Vancouver history ended four hours later, the streets of Strathcona were stained by blood. Sixteen police and 12 citizens, not all of them protestors, were treated in hospital, including an elderly woman shopper who was clubbed after refusing to get off the sidewalk. Up to a hundred marchers were injured and treated at hastily-organized, make-shift first aid centres. Scores were arrested, and many sent to jail. Meanwhile, a day earlier, a small group had gathered on the noisy Ironworkers Memorial Bridge to mark the anniversary of Vancouver’s worst ever industrial accident. Known for years as the Second Narrows Bridge, the Burrard Inlet crossing was renamed in 1994 to commemorate what happened midway through its construction. Just before quitting time on June 17, 1958, there was a loud, terrible crack. One span collapsed, taking another span with it. Seventy-nine men plunged from their lofty perches into the cold, swirling waters below, amid a deadly torrent of steel and concrete. Eighteen workers lost their lives, 14 of them union ironworkers. Several died standing up on the sandy bottom, anchored by their heavy tool belts. The 19th victim was a diver, who was killed in the underwater search for bodies. Tales from the disaster are as blood-curdling and heroic as anything you might read about the Plains of Abraham. Among the heroes was a fledgling, 16-year old diver named Phil Nuytten, who went on to international fame in the world of submersibles and diving suits. But mostly, this tragic reminder of the price working people sometimes pay just for going to work isn’t taught in our schools. One wonders why. One of the early things I did after ending my daily journalism career of 119 years, besides endless Googling of past Montreal Expo games, was take in the Vancouver public hearings of the Truth and Reconciliation Commission in September, 2013. The experience was overwhelming. It’s one thing to read about the unspeakable tragedy of what happened in Canada’s residential schools. It’s another matter to hear former students testify first-hand, and in depth, about what happened to them and the ongoing, debilitating impact it has had on their lives and those of their families. 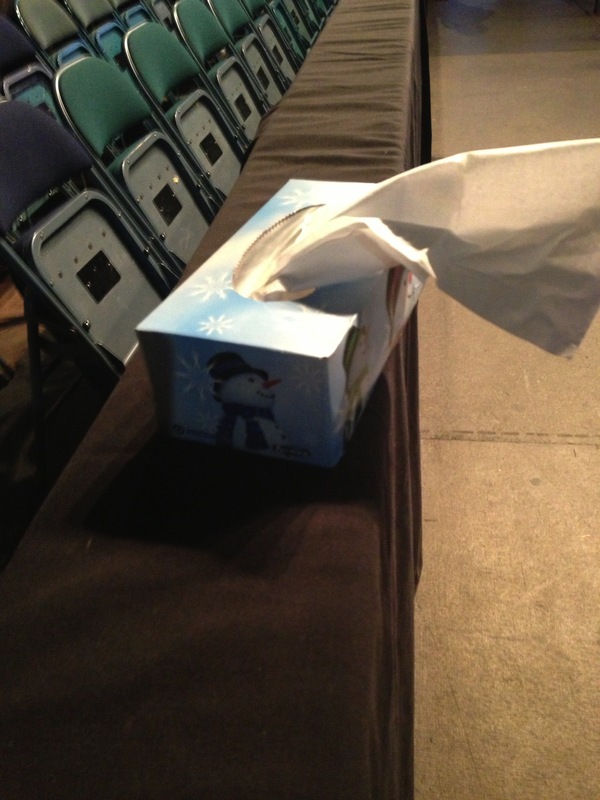 No wonder organizers placed so many boxes of Kleenex among the seats at the PNE Agrodome. At the same time, you know these stories represent only a handful of the thousands and thousands of grim experiences suffered by children who attended those terrible institutions. Everyone was scarred, even those who seemed to come through unscathed. I remember one dignified woman breaking down in tears, as she recounted how, with her parents far away, she was unable to celebrate something as simple and basic as her birthday. “I didn’t celebrate my first birthday until I was 28,” she wept. There was no love in those schools. Now, at last, we have the Truth and Reconciliation Commission’s comprehensive report and its 94 heartfelt recommendations. Sadly, they are almost certain to be ignored by a federal government that seems to care little for matters outside the orbit of its own base of support. Amid all the media hullabaloo last week, however, my own thoughts drifted back to someone I hadn’t thought of for a long time. She also attended a residential school. Here is her story. Canada being essentially a small town, it happened that my parents were acquainted with the family of renowned Haida artist, Bill Reid. 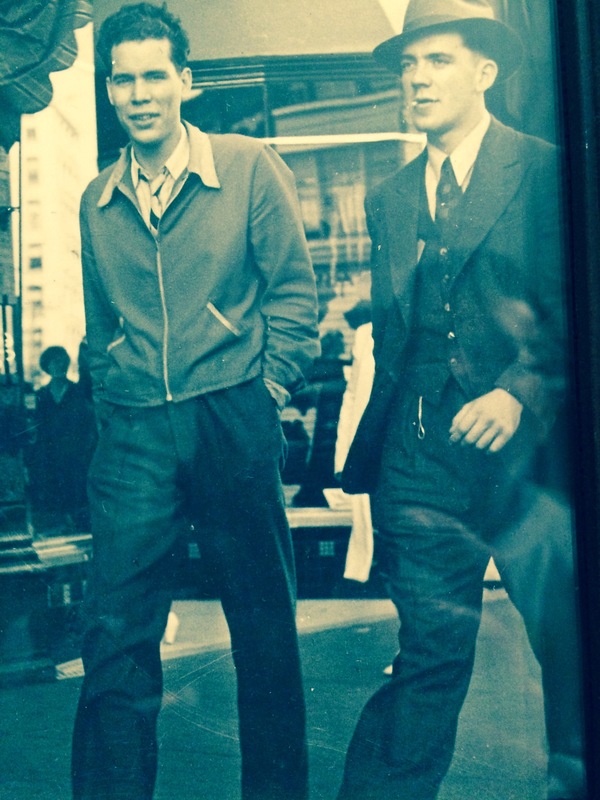 My dad and Bill were lifelong friends, the two first bonding in their teens, strutting the wild streets of Victoria. Bill’s lovely sister Peggy Kennedy, who lived for many years in London, was always on our Christmas card list. The Reid I knew best was their mother. My parents usually referred to her as “Mater”, but us kids knew her only as “Mrs. Reid.” Only after she died did I learn her first name was Sophie. She was a striking woman, with prominent cheekbones, beautifully-coiffed silver hair, stylishly dressed and a deliberate, dignified way of speaking. She seemed every inch the full-blooded Haida princess we were told she was. When Mrs. Reid came to visit, it was always an occasion. 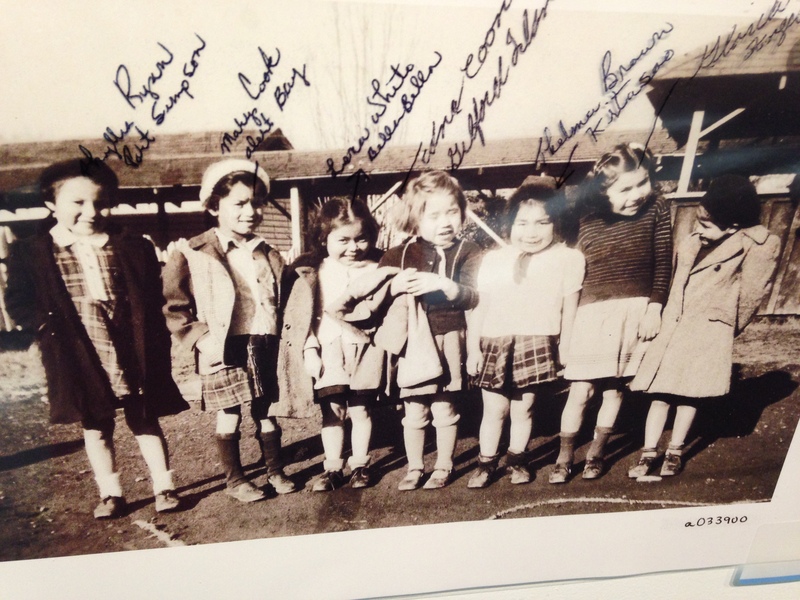 Sophie Gladstone was one of the 150,000 native children who attended one of this country’s soul-destroying residential schools, with their stated goal of taking “the Indian” out of the child. The result, as we now know, was purposeful, cultural genocide. Innocent children were ripped from their families, forced into a hostile, alien environment. No effort was spared to eradicate every vestige of their native identify. The message drummed into those poor youngsters over and over again was an echo of the refrain from that Linda Rondstadt song: “You’re no good, you’re no good, you’re no good…” When they emerged from those dreadful schools, many were incapable of normal affection and a nurturing relationship with their kids. 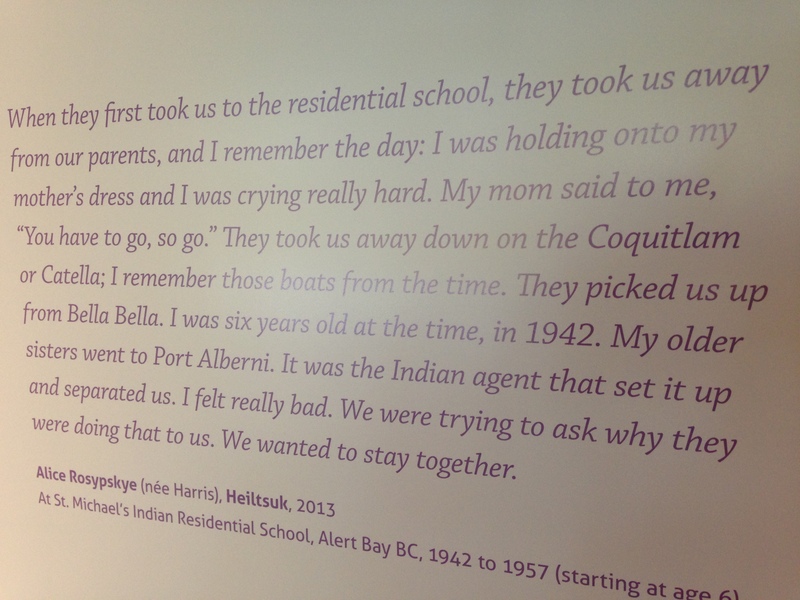 The ensuing dysfunction of First Nation families remains with us still, long after the schools were finally shut. It is truly the blackest chapter in Canadian history. 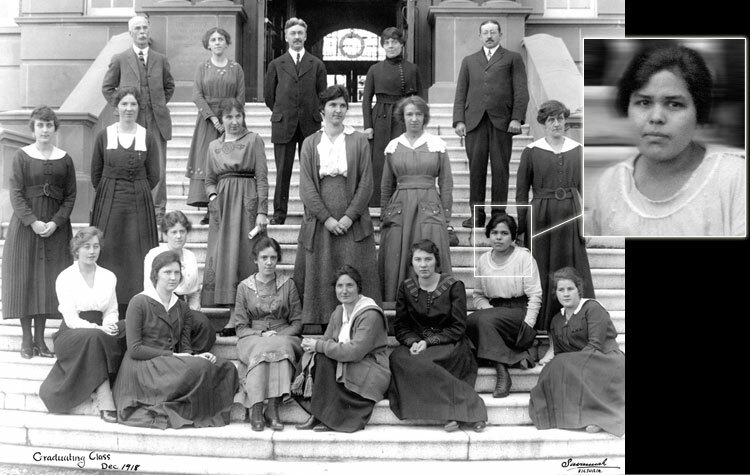 Mrs. Reid went to Coqualeetza Industrial Institute on the banks of the Fraser near Chilliwack. By the time she left the three-story brick building at the age of 16, the “Indian” in her was gone. She no longer identified with her aboriginal status. She married a rambling rum-runner and sometime hotel owner named Billy Reid, and for the rest of her life, she scorned the native traditions of her childhood. Mrs. Reid believed the only way forward for her people was assimilation. Nor did she think much of her celebrated son’s embrace of his Haida roots to become one of Canada’s great artists. (Mind you, Bill Reid did tell me once, in that wry way he had: I notice she hasn’t returned any of the jewellery I made her over the years…) This was another legacy of residential schools. With such a rich cultural background, the daughter of esteemed carver Charles Gladstone and the great niece of the finest Haida carver of them all, Charles Edenshaw, Mrs. Reid turned her back on all of that to make her way in “the white man’s world”. One of Bill Reid’s school chums reflected that, despite many visits to their house in Victoria, he had no idea idea Mrs. Reid was Haida. At the same time, Mrs. Reid was also touched by the same problem that was affected so many other residential school students. She had trouble being a warm, loving parent, although it’s important to add that had to cope, as well, with the added stress of being a single mother, abandoned by her husband. Peggy Kennedy told author Maria Tippett their mother would often scream at her kids all weekend, non-school days they came to dread. It was an unhappy household, Tippett wrote, with the children seeking what comfort they could from their nanny/housekeeper, Leah Brown. None of this was known to me in the days when Mrs. Reid used to visit. She was very kind to us young ‘uns. Only later did my mother, who was particularly close to her, tell me how Mrs. Reid praised the education she received at her residential school and disparaged natives unwilling to adapt to modern, white society. A strong, distinguished woman, she found her own way to persevere in a world that considered aboriginals second-rate – first as a young teacher, and then as one of the most fashionable dressmakers in Victoria. Bill Reid attributed much of his artistic success to his mother. “Whatever I learned about design, I learned from her,” he told a magazine writer in 1986. Yet, it could be said that Mrs. Reid, a successful woman on many levels, who raised three accomplished children, was a victim of residential schools, too.